If there is one thing I dislike about politics, Nigerian politics especially, is the fact that loyalty means nothing to most politicians, even with those who seem to have more credence and integrity than the others. And this instance is not better highlighted than the recent picture of President Muhammadu Buhari with his brother-in-law and Adamawa Guber aspirant, Mahmoud Halilu (Modi) after Modi picked his expression of interest and nomination form to contest for the Adamawa governorship in 2019. I am never a fan of Adamawa State Governor, Senator Muhammad Umar Jibrilla Bindow, but say what you want about the man, he has done well for the state and is certainly loyal to President Buhari and the APC. I know because I have monitored Adamawa politics closely for long and I sit with people in every political platform across the state. No matter the relationship, why the President will choose to take such a picture with a man seeking to unseat his most loyal governor in the north beats my imagination. The Presidency knows that this kind of political move will be seen in many quarters as an endorsement of Modi’s aspiration, which will not go down well with several APC chieftains. If Governor Bindow does not get an open support from the president soon, then I think a move like this will only stir backlash for Buhari from the good people of Adamawa State.The biggest show of oyalty I have seen from any APC governor in the north was recently, when former Vice President, Atiku Abubakar moved to the PDP from the APC. We had all expected Governor Bindow to follow Atiku to the PDP considering their new found romance in the state after the Wazirin Adamawa made amends for his horror show against Bindow in the 2015 APC guber primaries. Several section of the media also reported that with Atiku’s walkaway – Governor Bindow is also all set to dump the APC, but in a show of a very smart political calculation, Bindow choosed to remain in the APC and he strengthened his loyalty to Buhari’s 2019 presidential bid. 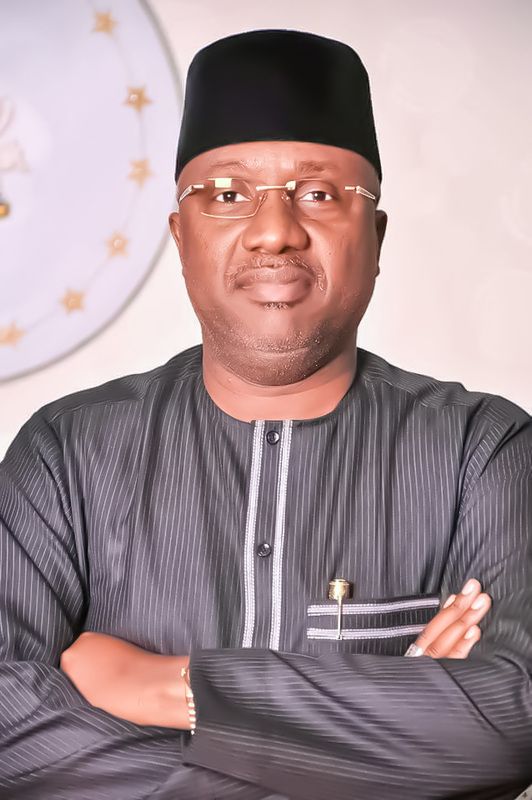 Even though Bindow himself has reiterated severally that he respects the former Vice President as an elder statesman, a father figure and a party stalwart. But a few of us knew that the governor is too smart to tie his political future to the moves of Atiku Abubakar. People will always have different political ambitions even with the same party faithfuls, so internal party crises is never a new thing otherwise there won’t be defections and counter defections. Having said that, the extreme gang up against Governor Bindow from some chieftains of his party in Adamawa State and the nation as a whole leaves very little for comprehension. It’s magically how Bindow has managed to perform so well despite the continuous attacks of some big wigs in his party. It is an established fact that the Ribadus, Gundiris, Nyakos, Babachirs of the these world has fought everything good in his administration but the man with support of the people always emerge top. The most recent slap to the faces of these inside attackers is the thrown away court case they filed against the governor on the party congress in the state. As smart and experience as they all seem, I would have expected these big wigs to support Bindow as it clear that he has done so much more than all of his predecessors put together. A working governor should be a thing of pride for every party member, ain’t it? Except these people are trying to tell us that their selfish interest is bigger than anything good for the people of our dear state. Poitics of Family and friends, religion and ethnicity. We know Bindow will face suchnone day. From day one we all know they did not want him on the seat. APC mantra and the gang on pdp brought Bindow to govt. And fight began immediately because he refuse to take orders from anybody. With all of those inside battles, come another fight from the wife of the president, who has made it no secret that she wants her brother, Modi, to contest against Bindow come 2019. I had expected Aisha Buhari to at least be smart enough to support Bindow if not for her closeness with his in-law the Zangon Daura, then at least for the fact that, Bindow is one of the most loyal politicians her husband has in the country. Why turn against your most loyal ally in a fight for supremacy in Adamawa with an Atiku and a Nyako? Only Aisha Buhari can answer that. We are all aware of how Aisha Buhari felt offended with the fact that she cannot control the administrative affairs of Adamawa State. I have been reliably informed several times about how she has brought so many unattainable proposals for approval to the desk of the governor, who I turned tells her it’s not doable for obvious reasons. 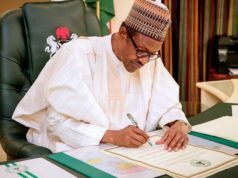 It is dramatic that the wife of the president choosed to reply that turn down with a candidate in 2019 – a candidate who is very unruly and unpopular in Adamawa. And to be sincere to Bindow. We all know that he avoided so many issue because he knows president Buhari is the type that don’t want his family involve in any action. It is in an effort to raise Modi’s popularity and boost his chances at the primaries, there is an ongoing call by the wife of the president to some national party leaders like Tinubu and the party Chairman, Oshiomhole to endorse his guber aspiration. The people of Adamawa are very smart, any party leader trying to market Modi will only loose his respect in the state, as it is this Modi can not a win a local government chairmanship seat in the state. Bindow would have played the stretched game politics like AbdulAziz Nyako’s does; defect to another party and maintain a structure in the old party for leaks and weaknesses. We all know Nyako Junior has defected to the ADC but he hardly makes a move or any decision without consulting Nyako Senior, who is still an active member of the APC. AbdulAziz, himself confessed that in several political discussions. For the Nyakos, it’s a clear case of family over party loyalty. Nyako junior boldly and clearly voiced out in an audio that they will deal with Bindow and Buhari. And nobody complain or any action from above. But Bindow didn’t do that. He stayed in the APC and is giving his all to the party and the people and yet this is how to repay his loyalty. How sad! It’s actually amazing that with all of these gang ups and bandits of destruction within his party Governor Bindow has remained steadfast in his efforts to make Adamawa State a better place for the people and is more and more loyal to the APC. I truly hope someone somewhere will advise the president and his wife about doing what’s right in the state because if you ask me, Aisha Buhari and Modi put together are not half as popular as Bindow is in the state. I truly hope they don’t soil Buhari’s fame in Adamawa with this nepotism. A word is enough for the wise. 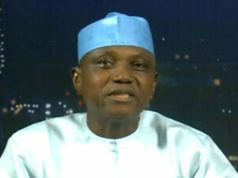 Adamawa Rerun: Is It Wrong for INEC To Disobey Court Order? Gov. Bindow assents to Jimeta modern market management Bill into law.